Ideal for trade shows and conventions, our new pop'n cool face stress reliever is bound to set the mood for your upcoming event. Made of PVC plastic, the message board pops out when squeezed. 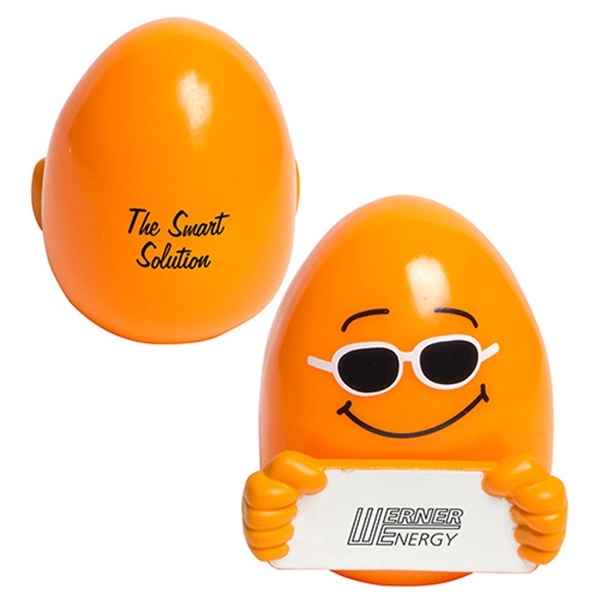 Measuring 2 3/8 x " 2" in size, customize this smiling stress reliever with an imprint of your company name and logo for maximum brand exposure. Our products are not intended for children under three years old or for pets. Size: 2 " x 2 " x 2.375 "
Ship Weight:32 lbs, Shipping is UPS, FedEx, or truck line by request. USPS is available for APO addresses only.